100% ringspun cotton jersey knit with v-neck and varsity striped sleeves. 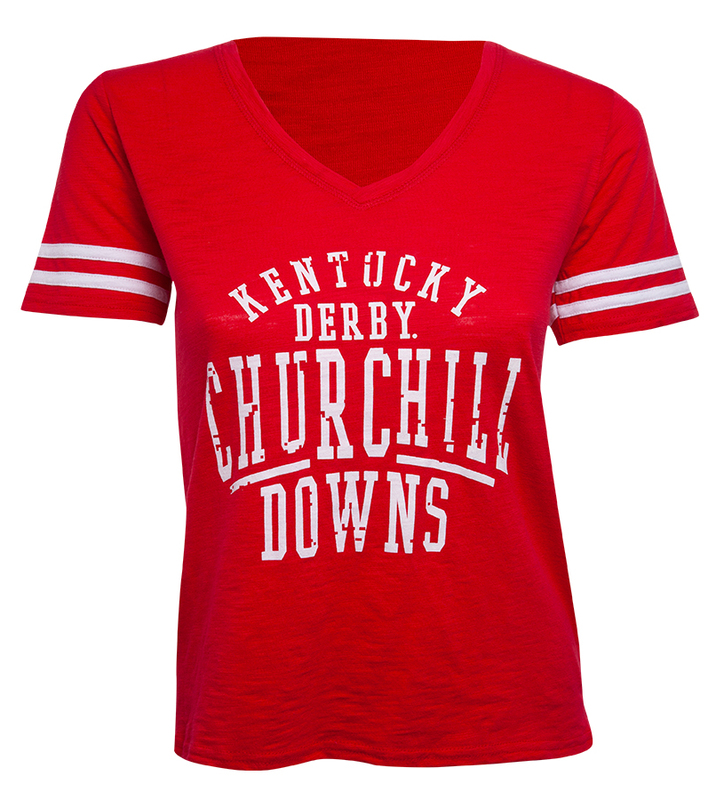 Printed with a Churchill Downs twin spires design. 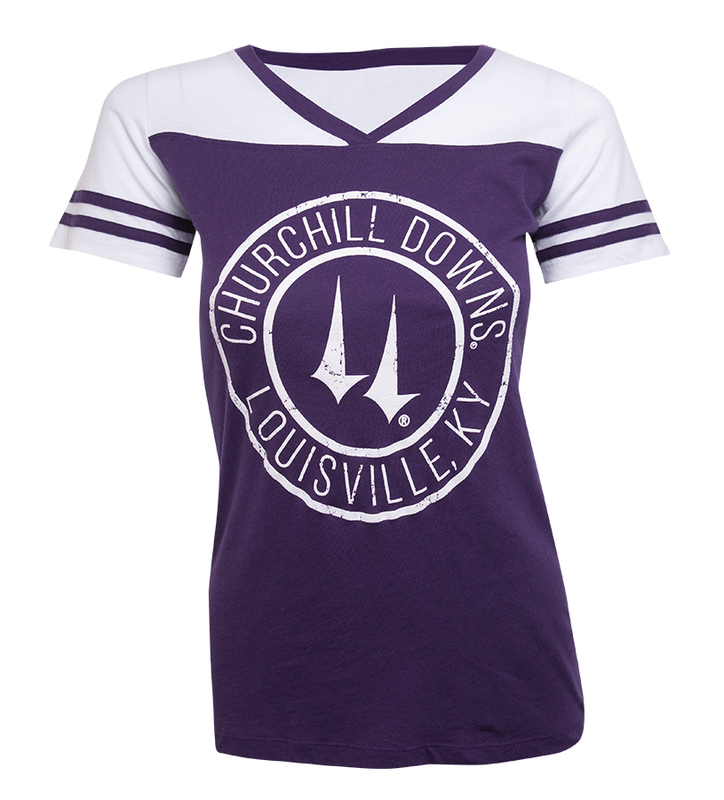 Available in navy or purple in juniors' sizes S-XL.